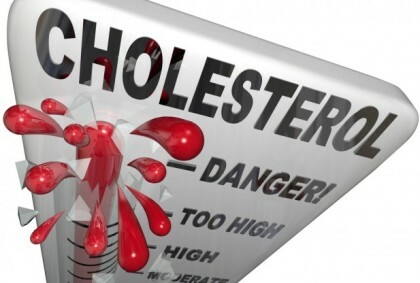 Orlando: An experimental cholesterol fighter being developed by Alnylam Pharmaceuticals and The Medicines Co slashed levels of bad LDL cholesterol and remained effective for six months, according to data from a small, early stage study. The drug, called ALN-PCSsc, cut LDL by more than 50 percent in the 69-subject study presented at the American Heart Association scientific meeting in Orlando on Wednesday. No significant drug-related side effects were reported in the small ongoing trial. “These data show that significant and clamped lowering of LDL is achieved for over 180 days,” said Akshay Vaishnaw, Alnylam’s head of research and chief medical officer. If approved, ALN-PCSsc would compete with Amgen’s Repatha and Praluent from Regeneron Pharmaceuticals and Sanofi, potent injectable biotech drugs that won approval this year and belong to a new class of treatments called PCSK9 inhibitors. PCSK9 is a protein that prevents LDL being removed from the blood. ALN-PCSsc also targets PCSK9 but via a different mechanism called RNA interference, or RNAi. While Repatha and Praluent block PCSK9 from doing its job in the blood, Alnylam’s drug prevents production of PCSK9 at the source in the liver. Doses of 300 milligrams, 500 mg and 800 mg led to sustained reduction of PCSK9 of 80 pct or greater. At Six months, the effect began to wane with LDL down by 47 percent. Lower LDL is associated with reducing heart attacks and death. Huge ongoing trials will determine if the new PCSK9 drugs have that affect, as widely used statins such as Lipitor do. Alnylam and Medicines Co envision twice a year injections of their drug, likening it to a flu shot, which could enhance patient compliance. The recently approved drugs that list for more than $14,000 a year, vastly more expensive than older cholesterol treatments, must be injected every other week. Pharmacy benefit managers Express Scripts and CVS Health have said they will tightly control which patients they will agree to pay for for treatment with the expensive new medicines. Alnylam believes its drug will have an advantage with payers, which may be wishful thinking. “We think payers will like it because they don’t mind paying for medicines if patients will actually take it,” Vaishnaw said.